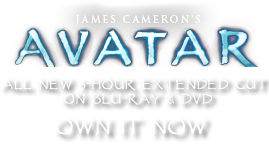 Log Drums | Pandorapedia: The Official Guide to Pandora | Own AVATAR on Blu-ray & DVD Now! The best of these log drums are said to be from a fallen branch of a unidelta tree. During its life, this tree usually serves as a host for a species of insect with glowing purple larvae that drill elaborate pathways throughout the wood of the living tree without affecting the tree’s ability to grow. Once the tree (or a branch) has fallen, the larvae move to another tree, leaving the fallen log riddled with channels. These channels give the tree an exceptionally resonant quality. Any combination of sizes of drums may be used to accompany social dances. But the larger drums, those whose wood has been channeled by the burrowing of larvae, are only used for ritual functions, especially those rituals which form a part of the Uniltaron, or “Dream Hunt.” These large drums are played by four or five Na’vi men at a time, wielding heavy wooden beaters. Function Music for social celebrations, rituals. Materials and Construction Fallen logs hollowed out by insect larvae and natural decay, covered on both ends by tanned hide of hexapede. Wood sticks used as beaters. Notes Small drums played by individual Na’vi for social dances. Large drums played by four or five Na’vi simultaneously during rituals.